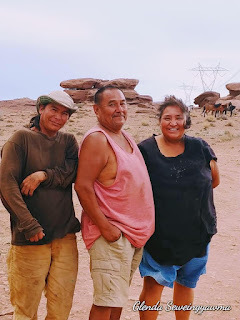 This week brings us out to the high deserts of the Colorado Plateau where the wild horses of the Diné Nation struggle to survive during this seemingly unending drought. 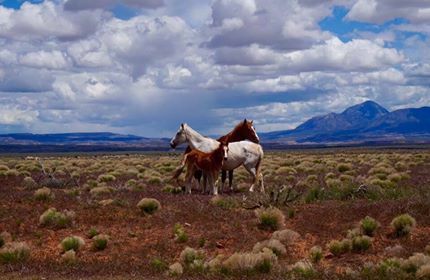 But there is always hope when things seem the darkest, and a grassroots effort started by local folks in Gray Mountain and Flagstaff called Gray Mountain Horse Heroes has stepped up to help the horses in any way they can. We interview four of the Horse Heroes, Paul Lincoln, Glenda Seweingyawma, Eileen Taggart and Billie McGraw on the origin of their meeting, the difficulties and joys of helping so many horses in the area, and ways in which we all can help too. The efforts of this group have not only been healing the horses, but also has been bringing the community of Gray Mountain and the surrounding area together. Also, a history of horses in North America, and music by Sihasin as well as John Trudell and Annie Humphrey. Please consider joining the Facebook Group: Gray Mountain Horse Heroes to join in the efforts. If you would like to donate monetarily to the group you can do so at Wildhorse Ranch Rescue, or by purchasing gift cards for the group at Olsen's Grain in Flagstaff for hay and feed. Special thanks to Glenda Seweingyawma and Jay Mark Redelsperger for the use of their photos. And special thanks to Environmental and Science Reporter Emery Cowan of the Arizona Daily Sun for helping to make this episode happen.